If your council offers a University of Scouting adult leader training event, you should go! Seriously… don’t hesitate, just get yourself registered. Similar to a Little Philmont event, I think it is well worth the time. I look forward to UoS every year as an opportunity to hear from others about their experiences, ask questions, learn a few new skills and gather some fresh ideas! It’s been great for me every time. What makes UoS so great is that course selection is entirely up to you and your role in the Scouting program. In other words, you can pick whatever interests you the most from a wide variety of topics. For example, I went the first year to learn more about OA, Wilderness First Aid and how to create a boy-lead program. 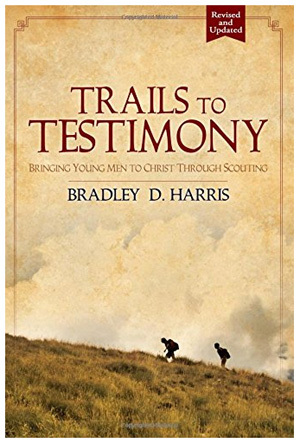 The next year I attended to hear about effective Scoutmaster Minutes, how to leverage JTE and to get some guidance on Life to Eagle strategies. This year, I needed to know more about Special Needs Scouting since my Troop recently welcomed a new scout who is autistic. I also wanted to find out why Scouting doesn’t end at 14 (as appears to be the trend in my area) and to get a few new ideas for year-round camping. Oh, and my CPR certification recently expired so I went to renew that too! In the end, your motivation to invest some time at your local University of Scouting event could be for similar reasons or any other that promotes a better understanding of this program in order to help guide the boys in the right direction. With the few opportunities we have to be an influence in the lives of these young boys, we ought to make it count through these awesome training opportunities. Below is a general idea of what kind of subjects might be offered at such an event in your Council. Specific areas of focus can range from Boy Scouts to Varsity Scouting, Venturing and even for CORs, Institutional Heads and Committee Members. This entry was posted in Training and tagged adult leaders, boy scouts, bsa, little philmont, scout training, university of scouting, varsity scout leaders, venture crew leaders. Bookmark the permalink.